Supple Magazine » The “Avatar” disaster: Thanks be to… trees? The “Avatar” disaster: Thanks be to… trees? Hollywood’s Spectacle vs. Substance bipolar disorder seems to be working in favour of the former. A cinematic ‘point-weak-here-bang-pulpit’ moment is finally here and with a big bang: it is box office record-holder James Cameron’s latest film “Avatar.” Congruent with the spirit of the age is the fact that a clueless visual bravura is wooing audiences worldwide on the strength of dazzling landscapes and nature-loving blue creatures, with all but a slapdash, shallow sorry-gory plotline of a story running through it. Cameron’s effort pales into frivolity beside the cocky real McCoy: “Pocahontas,” the 1995 animated musical loosely based on the life of Pocahontas, the Native American princess who, according to legend, saved the life of English colonist Captain John Smith. Captain Smith comes to the New World to find gold (unobtanium in “Avatar”, worth US $20 million per kilo ‘back home’) and fatten the coffers of the Queen of England. John Smith comes to meet with the Native Americans… and encounters Pocahontas. She falls in love with the colonist despite her father’s protests. After many debates with her father, Smith, and herself, she decides that love conquers all. She intervenes on Smith’s behalf when he is to be executed by her father’s warriors. The Indian woman leads the white man into the grove; he learns the way of the people and becomes their saviour. That haughty, simplistic plot proved impossible for Cameron to outdo. He tows its line religiously, only highly ingeniously. Alas, with “Pocahontas” off the prowl, hordes of climate-change-battered moviegoers could not keep from falling prey to “Avatar.” For one, there’s ample sweep and swoop of Sinbadesque bird-riding magic. Not all that glitters is gold. But why does fool’s gold abound so? The US$350 movie has made more than US$1.3 billion at box offices worldwide, partly boosted by higher 3-D ticket prices. The first-of-its-kind 3-D blockbuster is also a shameless flirt: the worship of nature, hints it, is here to replace religion. The movie is a simplistic and sappy tale, despite its awe-inspiring special effects. Vatican newspaper, L’Osservatore Romano, summed it up in a headline: “Not much behind the images.” Apart from the do-I-wake-or-sleep motif of English poet John Keats, deployed as a transformational technique you may have encountered in Ted Dekker. 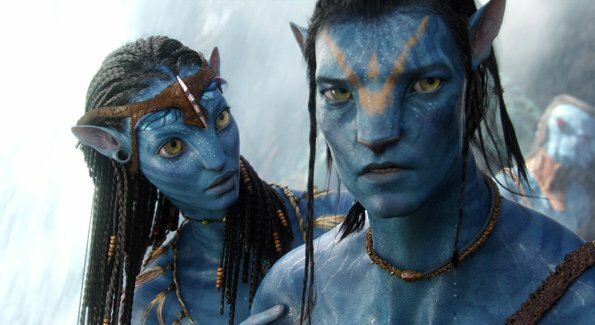 As the second highest-grossing movie ever, “Avatar” is challenging the record set by Cameron’s previous movie “Titanic.” It has been widely acclaimed and touted as a leading Oscar contender. Bolivia’s first indigenous president, Evo Morales, has praised it for what he calls its message of saving the environment from exploitation. Not so fast, a number of critical voices are saying. Actively engaged on two major warfronts, and coupled with the prevailing climate of global terror, some American conservative bloggers have decried the film’s anti-militaristic message. Further, a growing group of people are saying the movie contains racist themes. “Nature is no longer a creation to defend, but a divinity to worship,” the radio observed. The Roman Catholic leader Pope Benedict XVI’s has warned on the dangers of turning nature into a “new divinity.” The “green pope” has often spoken about the need to protect the environment, balanced by a warning against turning environmentalism into neo-paganism. Countless blog posts, newspaper articles, tweets and YouTube videos have criticised the film. Some say it is “a fantasy about race told from the point of view of white people” and that it reinforces “the white Messiah fable.” Cameron insists his theme is about respecting others’ differences. Anti-smoking lobbies have also stepped in to denounce its cigarette-puffing character (“Who’s got my g*damned cigarette!”) played by Sigourney Weaver, who came to fame as the remorseless heroine of the 1986 science-fiction horror classic “Alien”. This entry was posted in Kulturati by admin. Bookmark the permalink.